Growing eCommerce and Brick & Mortar retailers looking to manage back-office operations and scale their business. Contact RetailOps for pricing details. RetailOps provides small to mid-size retailers the tools to help them scale from multi-million dollar operations to $100+ million a year businesses. 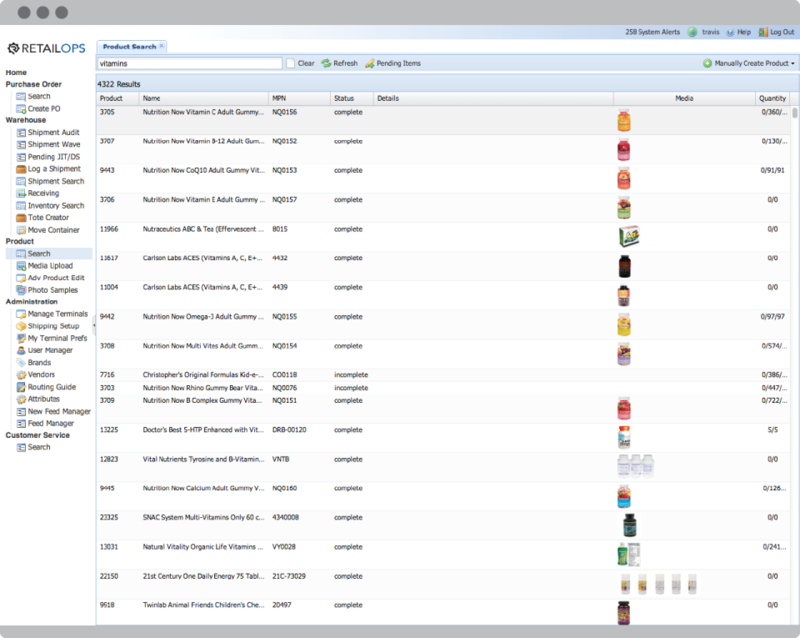 From inventory-in to order-out, RetailOps puts the tools a growing retailer needs to run their business on one platform. Included are: POM, PIM, DOM, WMS, DFM, reporting, shipping integrations, and a mobile iOS app for warehouse and POS operations. RetailOps offers something unmatched by any other platform currently available. Comments: Simply put as CTO of a fast-growing retail company we have compared more than a dozen platforms to narrow down to choosing RetailOps as the platform that powers our multi channel retail business - we sell across multiple branded sites and marketplaces (as well as a few brick and mortar locations) and grossed about $25 million in top line sales when we transitioned onto Retailops. I can say that the processes and capabilities of the platform has been a huge contributor to us growing to now just over $95 million in 3 short years. It is not all things to all people but if you're out comparing the Netsuites of the world Retailops is worth a serious look. There is no SaaS platform out there that has the breadth and depth of Retailops' functionality pound-for-pound tailored to the unique challenges of an eCommerce-heavy or multichannel retail business with a big online component. 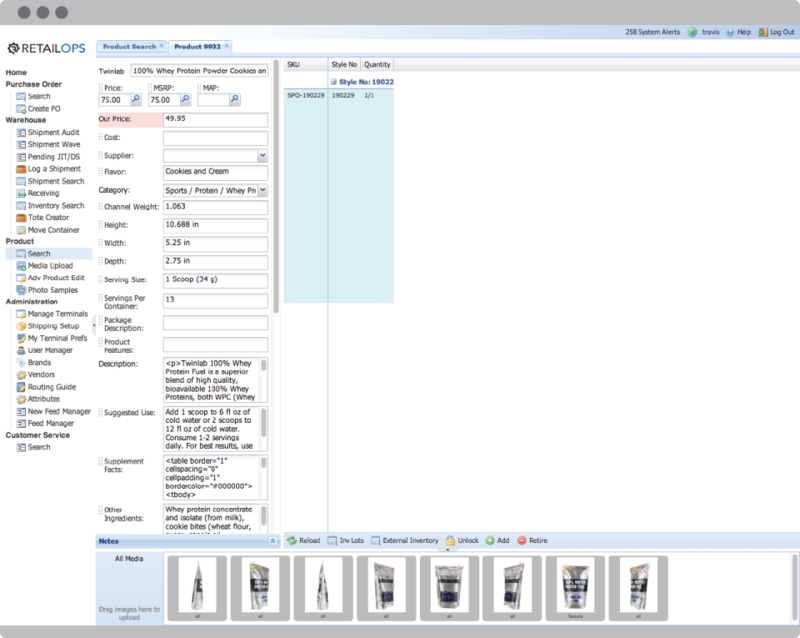 For us it's been transformational from the way we account to purchases (and send POs) to how it's streamlined receiving, not to mention full-blown WMS warehouse management that is leaps and bounds better than our old "Manhattan" set-up that was costly to set up and even more costly to fix. 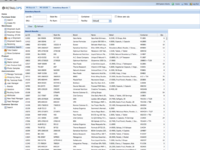 We also have so much data granularity at our fingertips in the Retailops system that reporting has been a real easy on-the-fly type exercise for our finance team. Highly recommended enterprise solution and easy to use and thus fast to adopt for your standard users. Their monthly service includes unlimited users to number of "seats" is never even an issue, which I love. Thank you for the kind words! We believe retailers should have tools and automation they need to focus on their business...not their technology. We've been very excited to help you grow at a quick clip the past few years and look forward to continuing to be a great partner and platform for continued growth in the future. 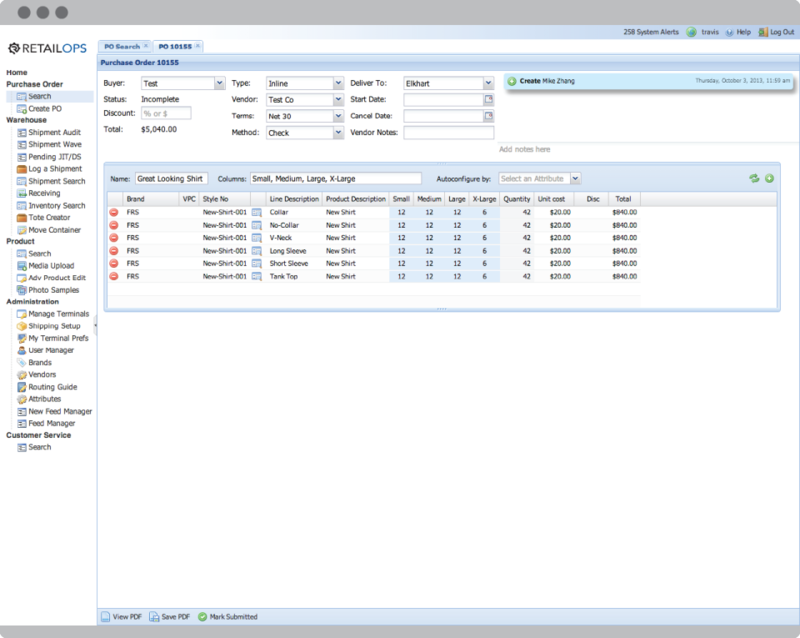 Pros: Product information management, strong inventory management capabilities, powerful data extraction capabilities, scalable and efficient receiving, fulfillment, shipping, and inventory processes. handheld functions. Overall: Significant efficiency gains in operations processes. Inventory accuracy to prevent oversolds. Improved granular data reporting. One system to replace 3 previously. Pros: There is tremendous flexibility within the platform to change the configuration to meet the ever-changing demands of internal colleagues and external partners. The all in one solution allows a completely integrated approach which significantly speeds up all the related processes and minimises the risk of anything being missed. Cons: New features have been slow to come to fruition and customer support for non-critical issues is slow. Overall: Speed, Efficiency, all the other various SaaS benefits. Pros: Before discovering Retail Ops we found all other order and management to be laughably rudimentary or outrageously expensive. RO turned out to be the perfect for our growing business. They helped us to eliminate manual processes, organize our warehouse and simplify complexities. Cons: Third party hardware and software integrations are sometimes limited. For example, we had to buy all new scanners across our organization when we launched. RetailOps provides a one-stop-shop for all of our e-commerce needs. Pros: The bulk upload functionality of this platform helps to streamline an otherwise tedious process of uploading inventory. Before RO, the warehouse was an organizational mess and now we are experiencing less inventory and shipping errors. Cons: The platform can be extremely finnicky. 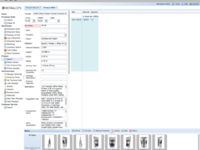 Especially when uploading new inventory CSVs, the errors that come about when the sheet is uploaded to RetailOps. It can also be really glitchy sometimes. 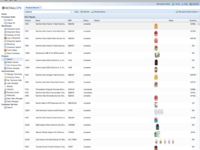 RetailOps helped us streamline many ops processes including product creation, receiving and go-live. Pros: - We have streamlined our product creation process and reduced the time from product receipt to go-live. Cons: - Customer service takes awhile to respond and get results. Pros: User-friendly interface that allows me to navigate quickly between functions. 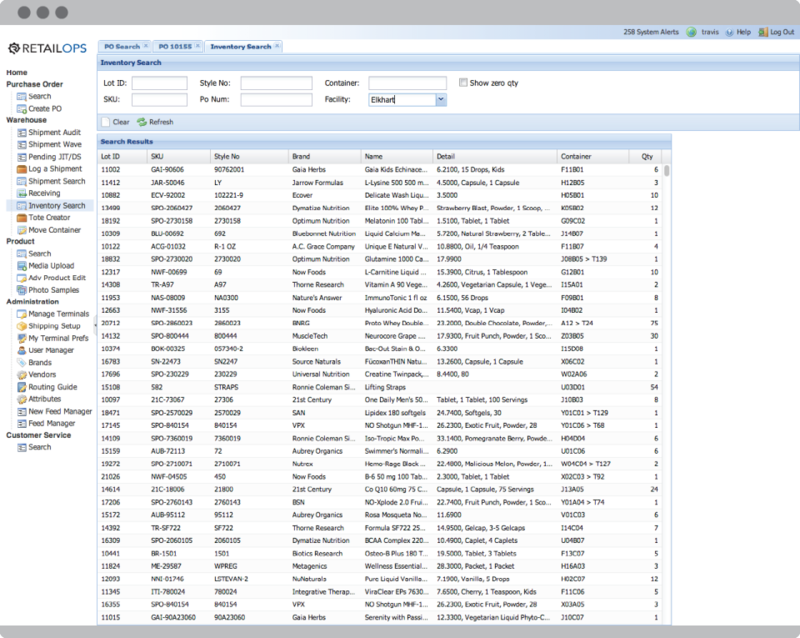 One place to manage customer transactions for multiple channels, product catalog, purchase orders and receiving, inventory adjustments and transfers, data feeds with other systems, and more. Cons: Reporting tool could use some better documentation to help user identify correct parameters for desired results. Overall: Getting products received, listed, and shipped is faster now for us than ever! Our oversells have decreased dramatically as well. 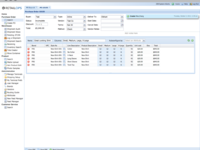 The integration with ChannelAdvisor is seamless. The only problem we currently have is with customer service. If we have a bug that isn't urgent it takes forever to get it resolved.